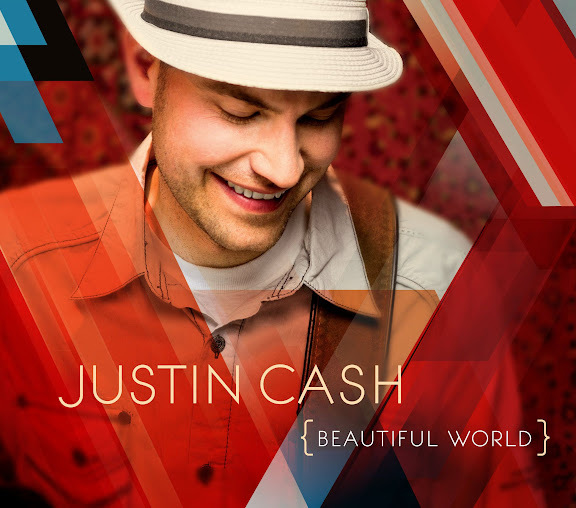 We've had Justin Cash's CD "Beautiful World" for all of one week now, and we all have his songs running through our heads at any given point in the day! The lyrics he sings are so hopeful and applicable, so down-to-earth, so real. While acknowledging the struggles that are common to humanity, Cash invites listeners to allow these experiences to build their faith, instead of destroying it. Needless to say, I felt a kinship to him right away. His music, on the other hand, is brilliant. When I first listened to his CD I thought, wow, his style is so fresh! Justin Cash is like a magical mash-up of John Mayer, Harry Connick Jr., and Eric Clapton...with a little B.B. King sprinkled in for good measure. When I listen to his "Beautiful World" CD, I can hear Memphis. I can hear New Orleans, Detroit, and New York. In his music, I can hear a unique sound that graciously gives a nod to the rich contributions of great blues artists who have come before him. His lyrics are just what our world needs, and I would love for mainstream radio to pick him up! It's been so refreshing listening to Justin's music and getting to know him through emails. I like to hope that if some of my blog posts could be turned into songs, they'd sound a little like Justin's CD (only funkier and with electric guitar licks)...because I too believe that in spite of everything--or, more accurately--because of everything, it really is a Beautiful World. 1. Just go to his website and listen to one of his songs! You can also listen on itunes or Amazon! 2. Then come back here and tell me what you liked about it...easy! You can post one comment per song that you preview. Each comment will earn you one entry. I will announce a winner in my post on Friday! Good luck!! And thanks, Justin, for sharing your talents with all of us! Fun music with great messages! Love that! I liked several of the songs I heard, but ideally liked "Beautiful World". There is so much turmoil and sadness in our world, but there's also plenty of reasons to be joyful and optimistic. It is indeed a beautiful world! "Beautiful World" is also an awesome song; it's important to look at the bright side of everything and live a happy life. His song Dont Worry Be happy made me smile listening to it! The lyrics and his music just make me happy! Beautiful World is a beautiful song! ;o) I love music that I can enjoy and my children can enjoy with me! I really like his versions of these songs! Over the Rainbow is GREAT! God only made one of you is FANTASTIC!! What a GREAT song for my children to hear! I see why you are LOVING his album! If you Try once again has GREAT lyrics and I love the island vibe! Makes you happy! Lose my Blues reminds me of New Orleans. Love LOVE his songs! Hope I win! If not I am adding this on my "purchase" list! It's definitely a beautiful world, today! It makes me think of this quote from Elder F. Enzio Bushe: "Embrace this day with an enthusiastic welcome no matter how it looks. BTW, the last comment was for "Don't Worry, Be Happy!" Over the Rainbow is a classic and he does a nice job with it! I love the words to "God Only Made One of You"! What a fun jazzy song "Lose My Blues" is! "If You Try" has good message as well. I really love the words to his songs. They are clean and uplifting! Beautiful World had a great message! Love finding music that I can listen to with the kids. If you Try also has a beautiful message! I actually want my kids to hear this, it's great! I loved "God only made one of you"
I have never been in the South but when I listened to Lose my Blues it reminded me of the movie "The Princess and the Frog"!! I loved Beautiful World. I can see why you are behind the CD it is uplifting. Just ran acrosss your blog. Love it. Don't Worry, Be Happy is one of my favorite songs of all time. And I LOVE Justin's rendition. Somewher over the Rqinbow is ALSO one of my favorite songs of all time. My kids would love Justin's version. 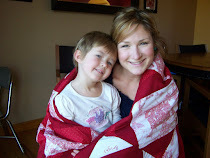 If You Try has a great carib vibe to it and a great message for my kiddos.